The Big Questions debate series—made possible by a generous grant from the John Templeton Foundation—gives students the opportunity to think critically about the place of humanity in the natural world by asking them to analyze and debate the best arguments on each side of a series of topics at the intersection of human nature, science, and philosophy. The 2017-2018 Big Questions topic is, Resolved: Humans are fundamentally different from other animals. The following topic analysis is meant to briefly introduce you to this year’s topic. It is meant to help you become aware of the key interpretive questions likely to be raised by this topic. In doing so, it will explore different ways of viewing the topic and how it can and likely will be argued. This topic analysis will hopefully leave you with an understanding of what you will need to prepare for in order to successfully debate both sides. Secondarily, this analysis briefly reviews some of the most common and interesting arguments in favor of each side of the topic. The goal is to provide you with the common positions taken by a scholars in a way that prompts your interest to research it further. For that reason, an initial bibliography of sources for further research is also included. The sources included have been divided into three parts: framing, affirmative, and negative. Framing sources are meant to help with interpretive understanding (although some also make arguments for one side, and so they will be cited twice). Anytime you approach a new topic it’s important to begin defining key terms. These definitions will help clarify what is meant by the topic and thus how someone will be able to prove or disprove it. As you will see soon, the way you define and support certain terms will be the key argument of many debates, such as the term ‘fundamentally’ (and its application to ‘different’). Definitions, along with framing and contention-level arguments, should meet one of the two criteria for anything you put in your case: provide the meaning of something necessary to your position that your opponent might contest and arguments you can use to win. Here are some initial considerations about the key terms in our topic. Defining living organisms has long been an area of scientific inquiry. One way to do this is based on their morphology, or their physical structure. Human morphology is simply understood as being a bipedal (walking upright on two legs) primate. However, the history of scientific attempts to define animals shows why our physical structure is not viewed as the core principle of being human. When Linnaeus named each animal genus back in 1735, he made his groupings based on the defining physical features of animals. But under the human genus Homo he simply wrote “nosce te ipsum”: a Latin phrase meaning “know thyself”. This was a departure from the classical method of grouping species according to their shared characteristics (anatomy, physiology), or assumed evolutionary relatedness. So where does that leave us with defining humans? Most likely this term will not need any defining. A main reason is that throughout your case you will be making arguments for what makes humans unique. These characteristics will naturally create a definition of humans, i.e. rational beings, or outputs of our genetics. These characteristics will be the only relevant features of what a human is since they will be answering the question of our uniqueness. Simply put, both affirmative and negative will likely agree on what a human is. They will differ on if those characteristics are fundamental and/or if they are unique to humans. With that being said, there are features of defining humans that both sides will want to consider. An example is the concept of intermediate species. In evolutionary biology, “intermediate species” refers to the intermediate states between an ancestral form and that of its descendants. The Science tells us that we evolved from species more similar to us than we are to apes. The reason for the extinction is not fully clear, but it’s worth considering how one would view this topic if all of the hominin species after the divergence from apes still existed. Would we still have distinct characteristics? Yes. Would they seem so different from everything else? Probably not. So while defining a human might not be necessary, thinking about what characteristics differentiate us from neanderthals might be. The sample negative case outlines how arguments along this line could be used to undermine the differences between modern humans and other animals. Again, all of these ideas will depend on where you take your arguments. This will be a focal part to almost all debates. The reason is the diverse array of ways you can define ‘fundamentally’, and that definition’s implications can change the direction of the debate. A few important notes before exploring possible routes. First, the term ‘fundamentally’ is being used as an adverb in the topic, which is modifying the adjective ‘different’. Thus, the topic does not ask “Is what is fundamentally human different from what is fundamentally other animals?”. Rather, it is asking “Is what is different between humans and other animals a fundamental difference?”. The key takeaway is that you are debating what differences can be considered fundamental ones, not what is different from being human compared to other animals. Obviously you will answer the latter question in your attempt to answer the former, i.e. our X quality is something unique to us and it is something fundamental, but you should remain more focused on what it means for differences to be fundamental. I have grouped potential definitions of ‘fundamentally’ into three separate categories: vague definitions, specific definitions, and context-specific definitions. Vague definitions are going to be those that are incredibly open-ended and rather subjective. Examples include fundamentally defined as “in a very important or basic way” (Macmillan Dictionary), or “in a way that affects the essentials” (Dictionary.com). Pretty vague, right? Both sides could have claim to a multitude of answers to the question “Is what makes humans different from other animals very important?” On one hand, ‘very important’ can refer to basically anything that impacts our lives. Is it very important we can walk on two legs, unlike primates? Are oranges essentially different from bananas? The main point here is very vague notions of what fundamentally means do exist. Both sides may find these definitions advantageous, although probably more so for the affirmative. This is because the negative wants to minimize the possibility of fundamental divides. The more broadly things can be fundamentally distinguished, the more ground the affirmative has. For the affirmative, vague definitions will be useful when you do not classify some important human attribute as entirely distinct from those other animals possess, just far superior. For example, being more altruistic or better at communicating. Specific definitions of fundamental will by-and-large attempt to pin down what is meant for differences to be ‘fundamental’ ones. These definitions include “belonging to one’s innate or ingrained characteristics” (Merriam-Webster), “serving as a basis supporting existence or determining essential structure or function” (Merriam-Webster), and “used for emphasizing the basic nature of something” (Macmillan). One common thread underlying all of these definitions is they create more of a standard for how to judge differences. Linking differences in our genetic makeup to being ‘ingrained characteristics’ is relatively more clear than stating our unique genetics are ‘very important’. The main key to specific definitions is to choose them with strategic purpose. If you are negating and you want to make arguments related to the similarities of living organisms biological nature, or as the affirmative you want to talk about the innate uniqueness of rationality, choose those sorts of definitions. Compared to the vague definitions, you will have less differences available to you, but they will be relatively better justified in relation to them being fundamentally different. in the late 1800’s, Charles Darwin posited one of his most famous claims in The Descent of Man: “…. there is no fundamental difference between man and the higher mammals in their mental faculties’ and that all the differences are ‘differences of degree, not of kind”. This is perhaps the most common distinction made within evolutionary, biological, and philosophical fields regarding how to determine fundamental differences. For this reason, defining fundamental difference or similarities in this way could be defended as the most common, giving you a reason to prefer yours over dictionary definitions.The phrase “difference in kind” is often close, if not synonymous, with a fundamental difference. Adler 1967 in the bibliography is the article I suggest everyone takes a look at to fully understand these distinctions, but in general, “Two things differ in kind if one possesses a characteristic totally lacked by the other, or if one can do something that the other cannot do at all” (Adler 1967). In comparison, “Two things differ in degree if, with respect to some characteristic that they both possess, one has more of it and the other less” (Adler 1967). Both sides can use this context-specific definition strategically if their contentions link specifically to either completely different human capabilities (aff), or varying level of similar capabilities (neg). The framing of the sample cases provided as a part of the comprehensive topic materials outline in detail the difference between these two concepts. Human’s spoken language, culture, and the affect our social environment has in shaping who we become through language will be very common. These positions will attempt to differentiate humans from other species by our language abilities, social interaction, symbolic behavior, and cultural variation, which all seem tied to our desire to understand the minds of others. The sample affirmative constructive focuses on these sorts of arguments in the first contention. The important feature of these arguments is that culture is more than the biological nature of all other animals; culture is a totally different influence that is both ingrained in humanity and is the primary influence that shapes our lives. A second common argument that authors say make humans fundamentally different from other animals is human morality. This says humans’ ability to appreciate fairness, justice, and rights is not only above and beyond anything else in the animal kingdom, but it is an essential part of what makes us human; it is at the very core of our ability to form stable societies and to cooperate to achieve common goals. While other species might show aspects of this, like studies of justice systems found in chimpanzees, the affirmative will argue they are always rooted in self-interest for the present situation, unlike human systems which have no reference to individual selfishness. A third common affirmative argument is human’s capability for rationality and higher cognitive functions. This means that the way we rationalize our actions and contemplate our choices in the context of our lives are fundamentally different than the way other animals do. This difference can be rooted in the fact that humans, in their nature, desire to know things. Our place in the world, our past and future, etc., all constitute truths that humans seek that are unique in the animal kingdom. In contrast, other animals live by appearances and physical consequences but the human race lives by reasoning with exterior motives. Forms of art are examples of this. Knowledge and understanding of the human kind attempt to answer the why of our questions, rather than solely how to achieve survival-related goals. In general, affirmative positions will focus heavily on the different capabilities of humans and the importance they serve to our species. The contention level arguments will be a big key to any successful affirmatives since negatives will largely need to undermine these differences as non-unique to be able to convince the judge that these factors are not fundamentally different. While the affirmative will focus heavier on the differences between humans and other animals, the negative will likely have a heavier focus on the defining of ‘fundamentally different’. This is because the crux of this position is proving the differences between humans and other animals aren’t attributable to foundational differences. The negative will likely make reference to the importance of genetics in understanding the differences and similarities of species. With that, they could point out we share almost all of our genetic material with other animals, including >99% with other apes. We also evolved from ancestor who were very clearly what we would call animals (extinct apes), and share those common ancestors with living apes today, so it would be odd to say that we are fundamentally different. Even the genes we have for traits that we say “make us human” are shared with other animals, and are just slightly modified, like the gene that allows us to vocalize speech. Thus, just as the three states of matter are just changes in the temperature, differences in all living species are just changes in adaptive traits. human characteristics, like all other animals, are just consequences of this fundamental process. This continuity is what is most important to the negative, for the same reason marine life was pushed towards and able to leave the ocean for the land millions of years ago, so to is the force that has allowed humans to develop quantitatively unique capabilities. This force is fundamental to life, and nothing else is needed or able to explain what makes all animals different. Andrews, Kristin, “Animal Cognition”, The Stanford Encyclopedia of Philosophy (Summer 2016 Edition), Edward N. Zalta (ed. ), URL = <https://plato.stanford.edu/archives/sum2016/entries/cognition-animal/>. Barras, Colin. “Earth – We Don’t Know Which Species Should Be Classed as ‘human’.” BBC. 11 Jan. 2016. Web. Calcagno, James M., and Agustín Fuentes. “What Makes Us Human? Answers from Evolutionary Anthropology.” Evolutionary Anthropology: Issues, News, and Reviews 21.5 (2012): 182-94. Print. Hogenboom, Melissa. “Earth – Humans Are Nowhere near as Special as We like to Think.” BBC. BBC, 03 July 2015. Web. Ingold, Tim. “What Is an Animal?” London: Routledge, 2010. Print. Hauser, M. (2009). “ORIGIN OF THE MIND”. Scientific American, 301(3), 44-51. Print. Hill, Kim, Michael Barton, and A. Magdalena Hurtado. “The Emergence of Human Uniqueness: Characters Underlying Behavioral Modernity.” Evolutionary Anthropology: Issues, News, and Reviews 18.5 (2009): 187-200. Hogenboom, Melissa. “Future – The Traits That Make Human Beings Unique.” BBC. BBC, 06 July 2015. Web. 14 July 2017. Falk, Dean. “Hominin Paleoneurology.” Evolution of the Primate Brain Progress in Brain Research (2012): 255-72. Anthropology Professor, Florida State University. Web. Richerson, Peter J., and Robert Boyd. “Not By Genes Alone.” (2004). Print. Tomasello, Michael. “The Cultural Origins of Human Cognition.” Harvard UP, 2001. Print. Carruthers, Peter. “ANIMAL MINDS ARE REAL, (DISTINCTIVELY) HUMAN MINDS ARE NOT.” American Philosophical Quarterly, vol. 50, no. 3, 2013, pp. 233–248. JSTOR, retrieved from www.jstor.org/stable/24475346. Hogenboom, Melissa. “Earth – Humans Are Nowhere near as Special as We like to Think.” BBC. BBC, 03 July 2015. Web. 14 July 2017. Ingold, Tim. “What Is an Animal?” (1988). Print. Zwart, Hub. “What Is an Animal? A Philosophical Reflection on the Possibility of a Moral Relationship with Animals.” Environmental Values, vol. 6, no. 4, 1997, pp. 377–392. JSTOR, www.jstor.org/stable/30301613. 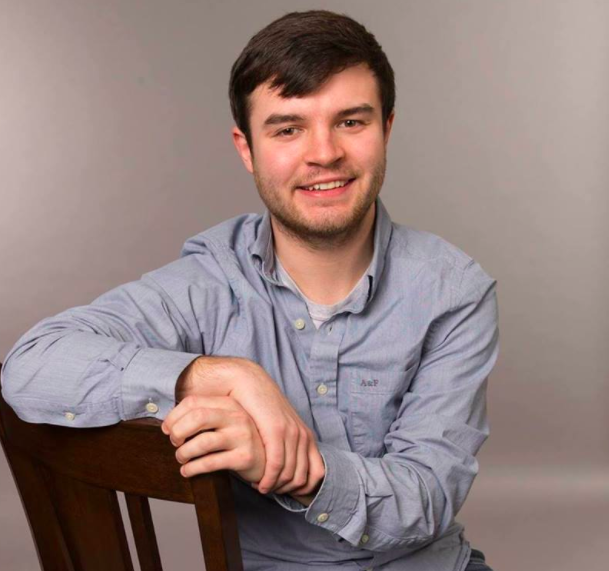 Grant Laverty is a recent University of Iowa graduate with degrees in Political Science, Economics, and Ethics and Public Policy. He debated four years of Lincoln-Douglas, where he was a two-time state champion, two-time Tournament of Champions qualifier, and two-time national qualifier. Since 2013, he has actively judged and coached on the local and national circuits.